The ban on civilian traffic would be effective from Baramulla to Udhampur through Srinagar, Qazigund, Jawahar-Tunnel, Banihal and Ramban, the notification said. The ban would be in force on the two days from 4 am to 5 pm, it added. 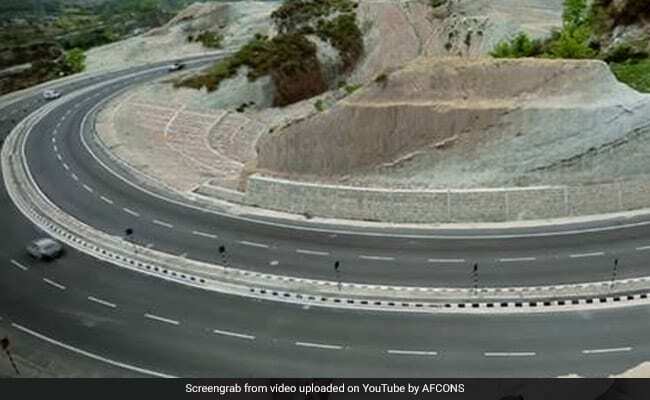 A government notification on Wednesday stated that the national highway from Baramulla to Udhampur in Jammu and Kashmir has been put out of bounds for civilian traffic twice a week. The order was implemented with immediate effect and shall remain till May 31. During this time no civilian vehicles will be permitted on the national highway on Sundays and Wednesdays. The measure has been adopted to facilitate unhindered movement of security forces' convoys and eliminate the possibility of fidayeen or suicide terror attacks during the ongoing election process, said an official. In case of any emergency requiring passage of civilian vehicle, the police and administrative officials would take appropriate decisions in line with the provisions of movement of civilian traffic during curfews, the notification stated. During his visit to Jammu and Kashmir after the February 14 Pulwama terror attack targeting a CRPF convoy which had left more than 40 soldiers dead, Union Home Minister Rajnath Singh had announced that no civilian traffic would be allowed during the movement of the paramilitary forces. On March 30 too, in a suspected terror attack, a car had burst into flames after hitting a paramilitary forces' truck, with the driver of the car having gone untraceable. No casualties or damage to the security personnel's vehicle were reported. The restriction on civilian traffic on the highway was announced two days after state police chief Dilbag Singh had said that a study group has been set up to suggest steps to strengthen the security along the 270-km Jammu-Srinagar highway following the Pulwama terror attack. Reacting to this, National Conference leader Omar Abdullah termed the decision to close the Jammu-Srinagar national highway for civilian traffic as a "proof" of Prime Minister Narendra Modi's failure to manage the internal security of Jammu and Kashmir. "Another 1st for the Modi government after the 1st ever delayed assembly election now this shocker - never before in 30 years has the national highway ever been closed for civilian traffic like this," Mr Abdullah tweeted. "It's a glaring admission of failure to manage the internal security of J&K," he added.